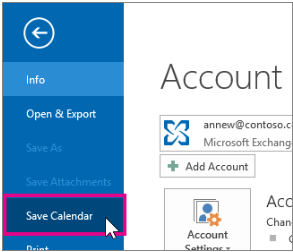 How to export an Outlook calendar to Google Calendar ? Home / How to export an Outlook calendar to Google Calendar ? 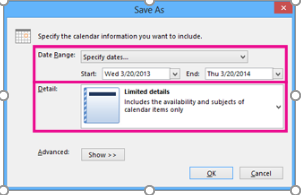 Click the Date Range and select the data you want to include in calendar file. You can click specify dates and enter a range there. Click back arrow at the top left corner to return to calendar.